Where are we on the investment clock, IPOs, demergers, upcoming SMSF changes, XTBs and Minis. Welcome to the April edition of Investor Update. This month we check the investment clock - a big picture tool that helps gauge the state of the market. What is it telling us now? Take a moment to look beyond shares at some of the other products traded on ASX. 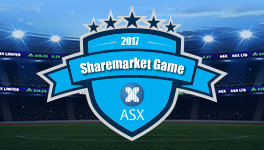 Find out the companies that have applied to list on ASX, and Roger Montgomery shares his thoughts on how to pick the winners. About: A simple way to understand market cycles and economic relationships. About: Learn how to assess Initial Public Offerings. About: Exchange Traded Funds are also a tool for active investors and traders. About: With some big changes around the corner, don't put off getting financial advice if you are approaching, or in, retirement. About: Demergers have been a source of solid long-term returns, on average. About: Defensive income stream with ASX liquidity. About: Benefits and the $1.6 million cap – SMSFs must be careful. About: Learn how this type of warrant helps traders take a positive or negative view on market events. An update on companies that have applied for official admission to ASX, and links to information on upcoming and new listings. 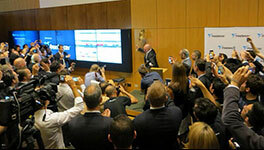 Report provides recent admissions, performance matrix, trading activity, plus LIC NTA report. Learn about shares, test your strategies and get close to the market. The market is up and 70% of players are in profit. Registrations close on 26 April. 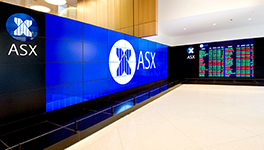 ASX talks to its largest LIC - why is it so popular? AFIC is the largest LIC by market capitalisation on ASX - why do so many Australian investors choose this company as a place to invest their money? Geoff Driver from AFIC takes us through the pros and cons of the Listed Investment Company structure, why they are popular with SMSFs, self-directed investors and even those looking to get started in the market. © Copyright 2017 ASX Limited ABN 98 008 624 691. All rights reserved 2017.